The result of the 2016 Eurovision Song Contest might have left many of us a little irate (putting it lightly), but Ukraine won and this is a fact we just need to accept. However, this result aside, Stockholm managed to put on one of the greatest contests of recent years. The Swedes just "get" Eurovision and make putting on such a grand high camp spectacle look effortless. Director Sven Stojanovic did his country proud. 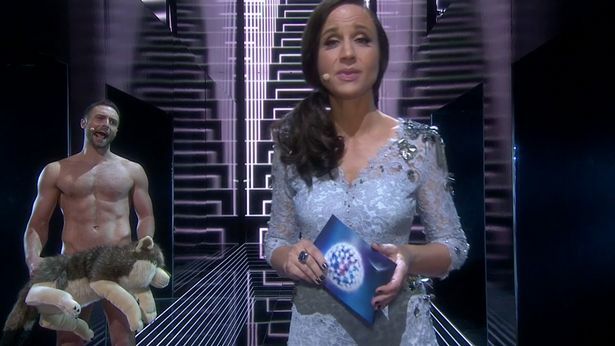 Much of the praise should go to the magnificent hosting duo of Måns Zelmerlöw and Petra Mede. General heartthrob and 2015 victor, Måns flaunted a charming charisma and self-deprecating delight throughout, whilst Petra was glamorous, smart and consistently amusing - not to mention the camp delight of Sarah Dawn Finer's Lynda Woodruff interval appearance. However, forget Justin Timberlake's Trolls-plugging appearance, the interval musical highlight was provided by Måns and Petra - Love Love Peace Peace - an all out kitsch delight celebrating everything quintessentially Eurovision. From Buranovskiye Babushki's dancing grannies, Lordi and Alexander Ryback cameos to men in hamster wheels and a Dima Bilan-channeling Måns removing clothing verse by verse - it was perfection. Check out the interval number Love Love Peace Peace below. Can Sweden hurry up and win again?